The cutting of your wedding cake is a significant part of your special day. When we were browsing through Etsy looking props for an upcoming photoshoot we happened upon the most darling wedding cake set – cake server and two forks. Jessica N Designs is the creator of these gorgeous pieces and will etch your wedding date and a short meaningful note onto the set for you. 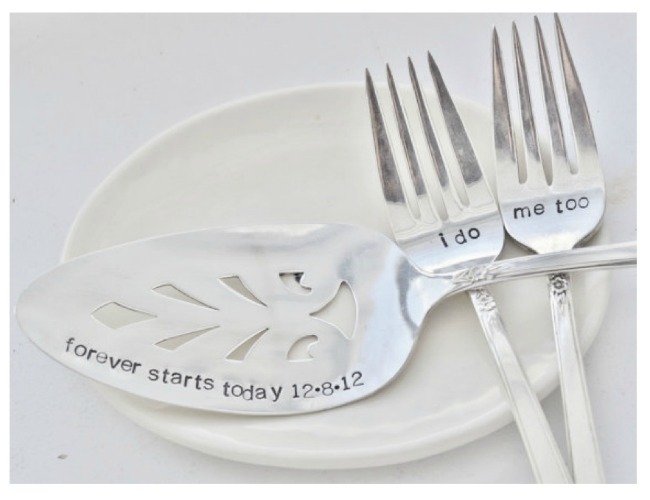 Jessica has beautiful vintage cutlery for you to select from so you will have a truly unique keepsake from your wedding to enjoy for years to come.